If you’re thinking about becoming a plumber then read on, because we’ve put together the steps you’ll need to take before you can start work as a fully qualified plumber in the UK. 1. Is plumbing the right choice for you? Make the decision as to whether or not plumbing is the right career choice for you, will working for yourself benefit you? Will it improve your work life balance? Will it improve your income? Would you rather become your own boss and not have to work for anyone else? These are the many questions that you have to ask yourself before you embark on your new career and begin your training as a plumber. Plumbers are very much in demand at the moment because there is a shortage of them and so this means great job opportunities. Plumbers are well paid and are in fact one of the highest paid trades around. The next step is for you to decide on what sort of training best suites your needs, if you’re just out of school and know that you want to become a plumber then maybe your best option would be to become an apprentice, where you will be working for a qualified plumber who will train you up to the City and Guilds 6129 and NVQ level 2 standard that is required. If you’re already in employment but are looking to change your career to become a plumber, your best option could be to take an intensive plumbing training course there are many great training centres in the UK, where you will be trained up to the standard that is needed. There are many options open to you when you enrol on a plumbing training course, but by and large if you’re starting from scratch the course that best suits you will probably be the City and Guilds 6129. You don’t have to take a full time course as there is the option of a part time course that enables you to spread out your course to best suit your needs, especially if you have to stay in employment while you are training to become a plumber, your training hours can work around your working life. No entry requirements are needed to start a plumbing course just the determination to succeed. 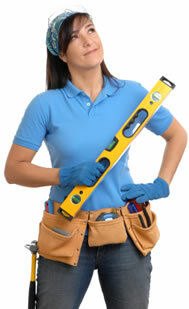 The plumbing training courses will train you up so that you meet with City and Guilds 6129 standards. Once you have successfully completed the C&G 6129 technical training course you will be ready to enter the work place as your own boss or as an employee. All the practical and technical skills you would have learned from your plumbing training course can now be put into practice as you embark on your new career. 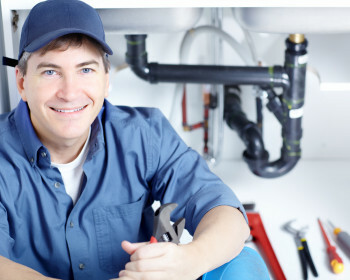 However, To demonstrate you are a “fully qualified” plumber you should try to get a plumbing NVQ Level 2, which you will achieve after you have been assessed by an NVQ assessor who will come and visit you when you are at work. He/she will assess you at work until you build up a suitably broad portfolio of work and will then award you with your NVQ Level 2, if you meet the required standards that are necessary for the NVQ. What you’ve learned during your C&G 6129 plumbing course will help you with this and will guide you every step of the way. 4. Starting work: employed or self employed? Well that’s it job done! You would now be a qualified plumber! If you want to go even further with your training you could try and get your Part P Certificate from building regulations, which will prove that you are able to work safely with electrics, this training may already be included in your plumbing training course.